The Snapdragon 600 processor in the HTC One features 2 gigabytes of RAM, and it is one of the first handsets to feature the new CPU. It's encased in unibody machined aluminum with a Gorilla Glass 2 covered display. The HTC One measures 0.37 inches thick and weighs 143 grams. It also includes either 32 or 64 gigabytes of storage, maxing out at a number equal to Apple's most spacious iPhone 5 model. Like the iPhone, and unlike many competing Android devices, the HTC One lacks an SD card slot for expansion. On the software side, the HTC One runs Google's Android Jelly Bean 4.1.2. 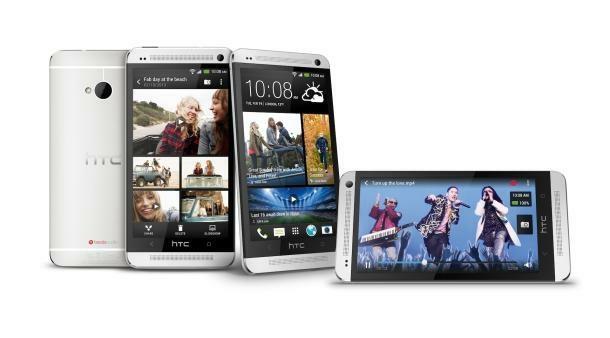 Laid atop the operating system is HTC's Sense 5 user interface, which boats the company's new "BlinkFeed" live stream. "HTC BlinkFeed is a bold new experience that transforms the home screen into a single live stream of personally relevant information such as social updates, entertainment and lifestyle updates, news and photos with immersive images so that people no longer need to go to separate applications to find out what's happening," the company said in a press release. 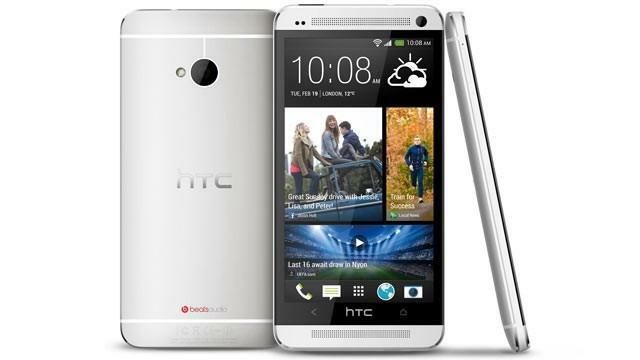 The new flagship smartphone from HTC also features what the company has dubbed as an "UltraPixel Camera. The camera offers just 4-megapixel photos, but HTC said it doesn't want consumers to buy into the "myth of the megapixel." Instead, HTC says the new One captures 300 percent more light than current competing smartphone sensors, offering "astounding low-light performance." A unique feature of the HTC One is what the company has branded as "BoomSound." The smartphone boasts forward-facing stereo speakers complete with a dedicated amplifier and Beats Audio integration. In the U.S., the HTC One will be available on major carriers AT&T, Sprint and T-Mobile beginning in March, leaving Verizon out of the mix. HTC said the One will be available globally through more than 185 mobile operators and major retailers in more than 80 regions and countries. "People today immerse themselves in a constant stream of updates, news and information," said Peter Chou, CEO of HTC Corporation. "Although smartphones are one of the main ways we stay in touch with the people and information we care about, conventional designs have failed to keep pace with how people are actually using them. A new, exciting approach to the smartphone is needed and with the new HTC One, we have re-imagined the mobile experience from the ground up to reflect this new reality." The HTC One has seen a number of leaks in recent weeks, revealing the device before Tuesday's official unveiling. Those leaks revealed that the device took a number of design cues from Apple's iPhone 5, including chamfered edges and a black anodized aluminum frame. Those initial suspicions were confirmed on Tuesday by Engadget, which said in its first hands-on with the HTC One that its "polished edges remind us of the iPhone 5." Author Myriam Joire also compared the design of the HTC One to the recently unveiled BlackBerry 10.